Face Haus was co-founded in 2013 by good friends Karey Burke (EVP Programming and Development at Freeform), Dawn Olmstead (Co-President of Universal Cable Productions and Wilshire Studios) and Jenn Worley, (Current Face Haus Chief Creative Officer). While growing both kids and lucrative careers, the powerhouse, working moms were inspired by one daughter’s ‘first facial’ party that broke the bank. They realized there were no good, affordable skincare options for teens, men, or busy women. The trio brought on a team of superstar estheticians and Face Haus’ exclusive consulting dermatologist, Dr. Harold Lancer (known for making celebrity faces glow- Kim Kardashian, Oprah, Jennifer Aniston and Ellen to name a few). Lancer oversaw and supported the creation of efficient, power-packed treatment protocols to deliver their user-friendly menu using renowned Lancer products and luxury skincare line Eminence Organics; a line that the Duchess of Sussex Meghan Markle has recently raved about. Using top-tier skincare brands and innovative technology in conjunction with their commitment to accessibility is what sets Face Haus apart from the rest. At $65 for all signature facials, their cohort of treatments also includes affordable add-ons and the special “United We Smooth” facial designed by Dr. Lancer that incorporates exclusively Lancer products and microdermabrasion. 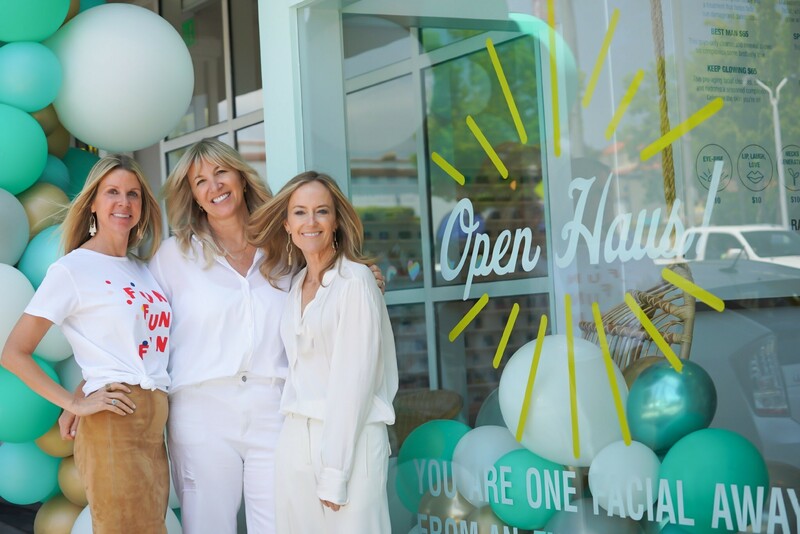 Face Haus Co-Founder and Chief Creative Officer Jenn Worley sat down with us for a Q&A about the future of Face Haus and the Launch of their new location at USC Village. Why did Face Haus choose USC as a location for opening? In our first three Face Haus locations we targeted neighborhood blocks where we knew we could rely on foot traffic and mixture of young professionals and families. We felt it was important to be surrounded by like-minded brands and a community. As we have been “facials for the people” since we launched in 2013, it seemed appropriate that we diversify our locations to include even more people. USC Village approached us, and we thought it would be a great fit for the brand. Who is your target for customers? What I am most proud of is our client base. Dawn, Karey and I launched this concept hoping we could create a new model that exists outside of the traditional “spa” targets. We talked a lot about a place that women, men and teens would feel great walking into. We hoped to strip out the intimidation factor- both in design of the shop and in cost. Happy to say that we are 30% male clientele and teens make up a significant piece of our FH clients. Can you tell us why the nation should know about Face Haus and what sets you apart from your competitors? What truly sets us apart from our competitors is our open concept, our accessibility and us affordability- all without compromise in quality of services. We are extremely invested in innovation and are backed by consulting dermatology legend Dr. Harold Lancer. Our products and services are on par with the highest priced spas- at roughly a third the price. 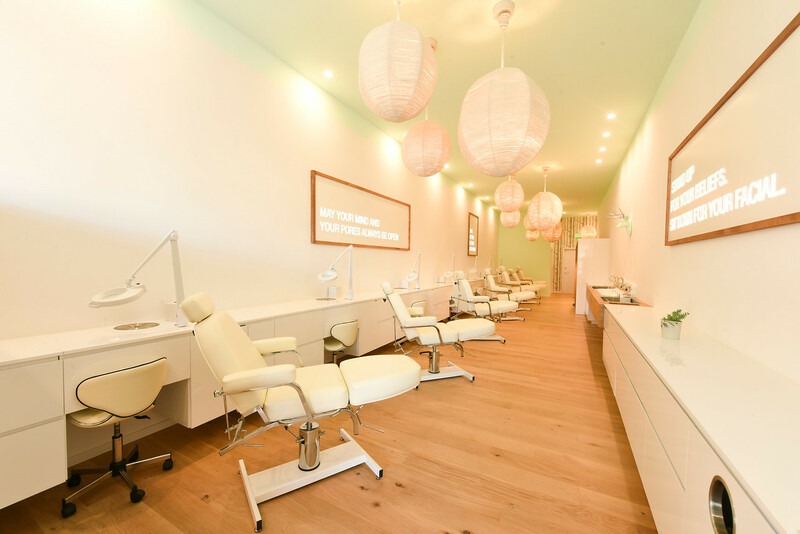 Our open concept also creates a space a new model- that now shifts the traditional spa facial experience to one that is social, lively and feels great to be in. You will never hear whale sounds or elevator tunes- great music, and you can come with friends, host parties, and not be isolated in a dark private room. How have you stayed in business since 2013? What has kept your business successful? We were first to market with this type of skincare concept in 2013, and with a lot of patience and hard work, we are currently in major growth mode! We just opened our Montana Ave Haus, USC Village next week and have a fantastic calendar of new hauses in the pipeline. What has lead to this “staying in business” are a few key things: developing a concept and strong brand identity that fills a gap in the market, learning from mistakes and always staying open to improvements. Our company has a culture of community, always open to ideas and innovation. Bringing in the right partners has also been a key part of our recent shift into growth mode. 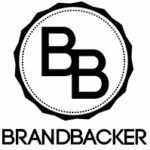 We held out until the right relationship formed and we are now partnered with some of the incredible people that grew the amazing brands Bliss and Carol’s Daughter (among others). What can the nation do to get a little piece of what Face Haus has to offer? Love the face you see in the mirror every day! Our Haus beliefs are: Diversity is beautiful. Go Natural. Everyday face care for all. Our haus is your haus. Do good, be good. If you could tell me about you and your business partners in three sentences what would that be and what would that say about Face Haus? My co-founders are incredible, high-achieving brilliant women that inspire and care for both what they do professionally and for their awesome families. (We have 14 kids between us!) The newer members of our Face Haus partnership team are equally incredible, fantastic people who bring a wealth of experience and wisdom to this growth process. What will separate the USC Location from the others in Los Angeles? There are a few new and exciting additions at USC Village that our other Hauses don’t have some pretty striking new design elements, improvements to our beauty bar, and a few fun surprises too. What 3 services would you recommend to a teenager, adult, and elder at Face Haus? Services are all very personal to individuals and while our Haus Menu is broken down into an awesome collection- it’s also a custom conversation with your esthetician at the beginning of every facial that will determine what’s best for your skin and goals. Some of our most popular facials would be “Spotless Reputation”, “Teen Spirit”, “Keep Glowing”, “Haus Special” and Dr. Lancer’s “United We Smooth”. Our new Lightstim LED add-on has been a huge success as well – incredible results and price are a fraction of the cost at high-end spas. What is the one thing you can get at Face Haus at all locations that you may not be able to find at your competitors? 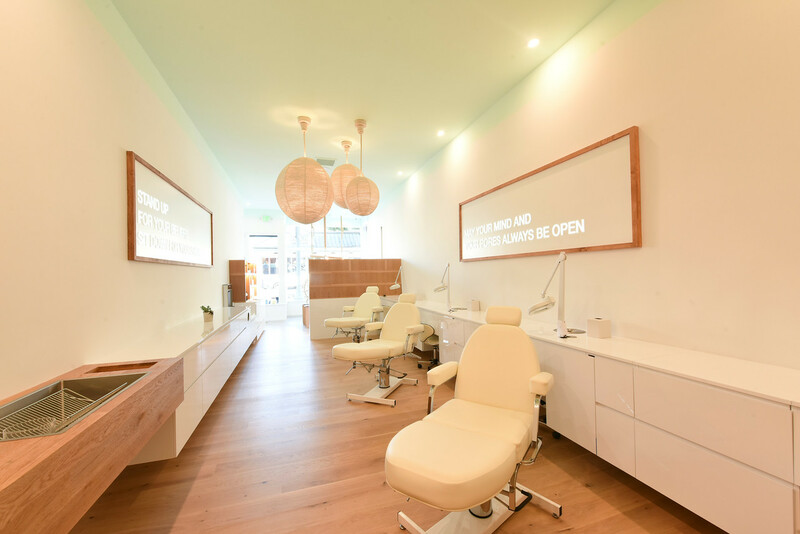 The thing you can get at all Face Haus locations that you won’t be able to get elsewhere is a truly affordable, extremely high-quality facial in an inclusive, open setting with great vibes and a positive, welcoming community. What does ‘facials for the People’ stand for? The concept of the “Haus” and “Facials for the People” emerged in the earliest brainstorm sessions Karey, Dawn and I had. The focus was on reimagining the luxury, elite spa model. We wanted a unisex, high design, open concept and open minded “haus”, where everyone was welcome and the neither the space or the cost was an intimidation. How did you curate the team of estheticians that you work with and what specific qualities were you looking for in them to be a good fit for Face Haus? Our team is everything to us. Our Haus estheticians are our rock star experts and our Front of Haus team is our anchor. We have many people on staff that started with us 5 years ago- they are a testament to our commitment to our people and I am in awe of them dedication and willingness to grow. We look for people who are open-minded, flexible, energetic, passionate about their career and committed to Our Haus ethos of being good and doing good. We work hard to provide a rich career path opportunity- being a part of a quickly growing brand is an exciting thing! How long is each Face Haus Session and what is your favorite facial? Our services are all efficient and fully loaded! 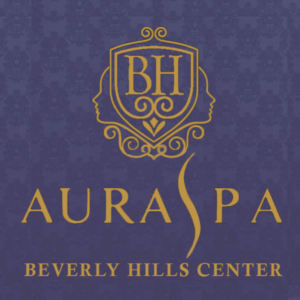 A signature facial is 40 minutes and can run up to 50-55 minutes with the addition of our more time-consuming add-ons. My favorites vary according to the season and whatever skin drama I’m in the middle of! That said, I’m a big fan of the Haus Special Facial with a Universal A-peel and Beam Me Up add-on. The peel and Lightstim LED combined with our signature oxygen blast leaves the skin incredibly renewed and hydrated. Any experiences and/ or hero stories you can share from the experience at Face Haus? I never tire of hearing from and seeing new (and sometimes unexpected) faces in us Haus. I remember in one-week last year we received hundreds of messages from teens around the world asking us to come to their towns/ cities after seeing the Buzzfeed videos of ‘Test Friends’ and ‘Try Guys’ getting facials with us. That same week we hosted a “manscaping party”, a renowned Orthodox Jewish Rabbi, a mom’s breastfeeding group, and a 13th birthday party. The week wrapped up with Duff McKagan in the facial chair and an ongoing date-night for a married couple that have been coming on Friday evenings for a couple years. This makes all the hard work worth it. For the people!